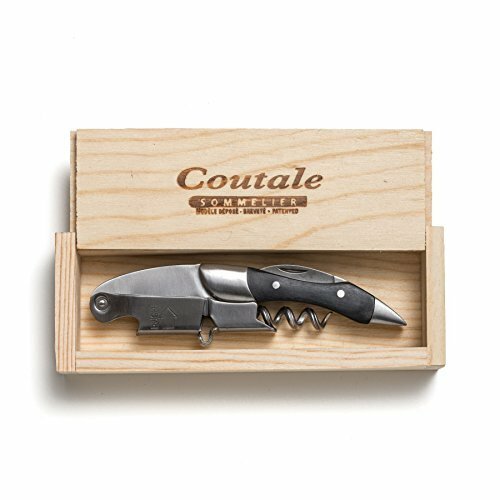 FRAME AND HANDLE IN SOLID STAINLESS STEEL - Our Prestige Blackwood by Coutale Sommelier is built on a base of Solid Stainless Steel. From here, a slab of hand-cut Blackwood is affixed to the frame via stainless steel rivets. The end product? A corkscrew that is as aesthetically gorgeous as it is useful. Made of practical lines, The Prestige Blackwood by Coutale Sommelier is as comfortable opening 100's of bottles a night as it is on display at home.